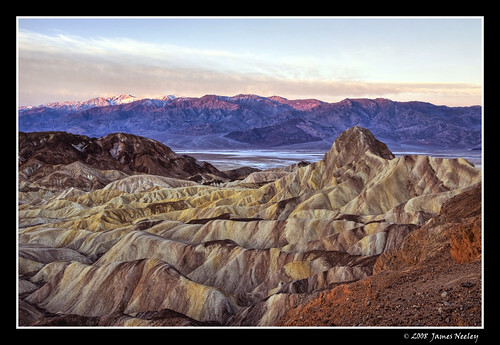 On our trip to Death Valley we photographed at Zabrisky Point 3 times, 2 sunrises and a sunset. The 2nd sunrise we hike up a ridge in the dark to have a different perspective. 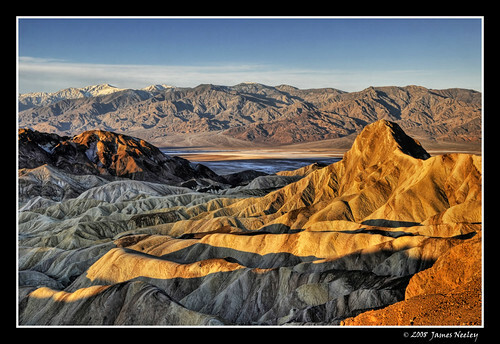 This is a predawn image looking at the Beacon and into Death Valley.